Entry fee 4000 SEK per boat "all inclusive"
10:00 Start race 1 outside Svinöra marina. 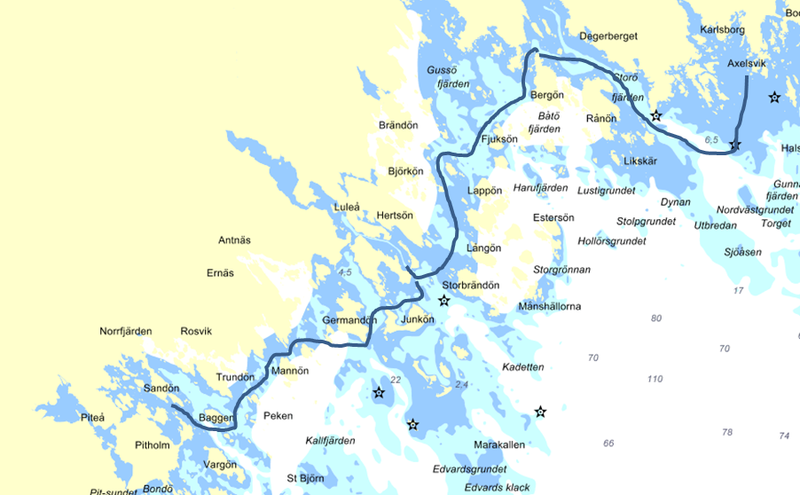 22:00 Start race 5, midnight sun race, rounding the northern most point of Bay of Bothnia. 01:00 approx finnish race 5. 17:00 approx finnish race 7 Stora Trutskär Kalix. Time for sauna a swim and a little relax or time to catch cars and trolleys from Piteå.